Desks really make it easier to read, write or to operate a laptop or computer! They really bring the things that are under discussion, to a convenient height level for easy of operating! Apart of their brilliant uses in home, desks have also a prominent position in offices and hotels like those of reception desks, information desks and checking counters! After this little visit, you will really be well known to the worth of a desk! Are you still not owing a beautiful one? 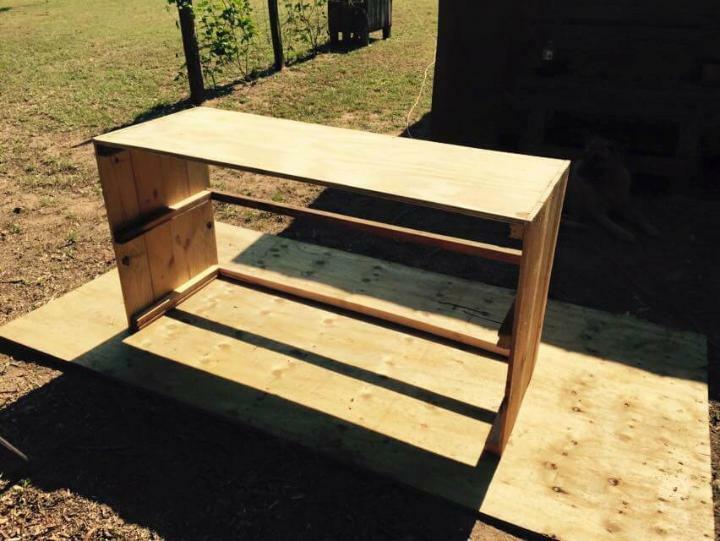 If it is only the lack of money that is not allowing you to access a chic market desk design then build your own ones and forget those expensive ones! 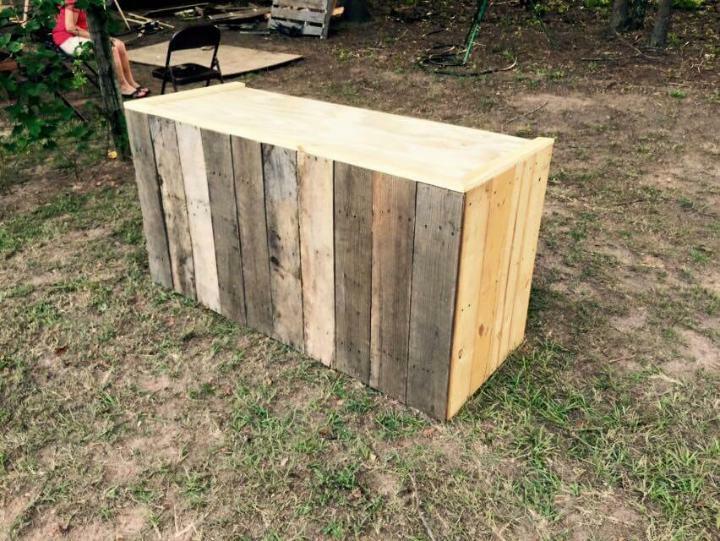 Yes, it is really possible and also much budget-friendly if you go handmade with pallets, a massive source of free wood to recycle, upcycle and reclaim for furniture, decors and other home improvement projects! We have brought here a full DIY pallet desk tutorial here to keep you enjoying the same fashionable styles of desk on a budget and you will have here a free hand to customize the dimensions, to vary the color and look and to add some of personal features and characteristics you want to see in your desk designs like rows of drawers and some wheels at the bottom for a rolling movement! 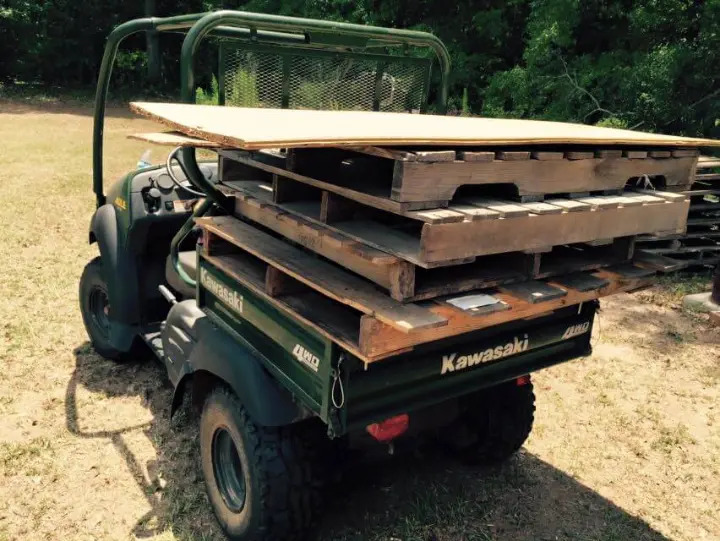 Collect some pallets by taking a visit of surrounding areas, use your vehicle to save a plenty of time! Visit the nurseries, landfill area, dumping grounds, junky yards, dumpsters, discarded material piles and surrounding areas of buildings under construction! If you have a shipping area just nearby, then it would be lucky draw for your to get as much pallets as you need! 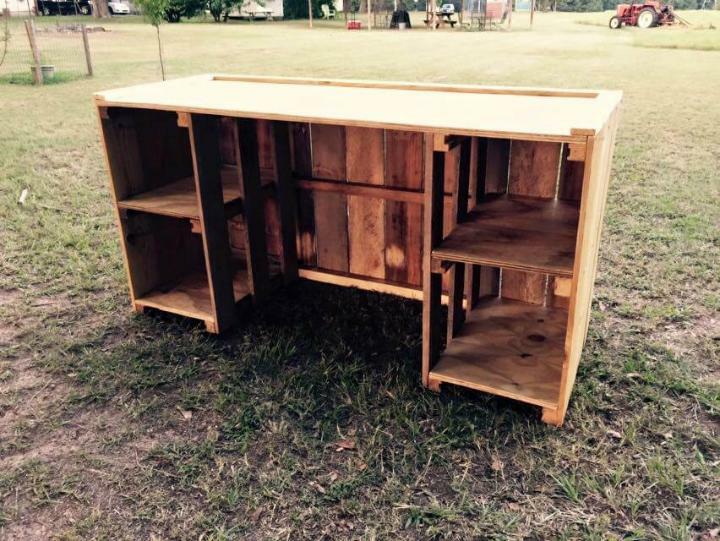 Also get a sheet of plywood to build up the top of the desk and shelving levels in storage compartments! 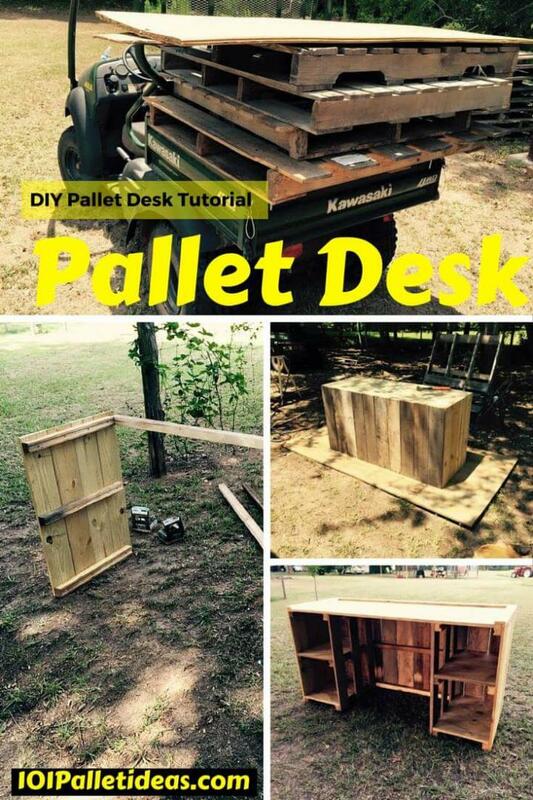 Dismantle the pallets using pallet breaker or pry bar or hammer and build the sides of the desk using equally thick and long pallet slats! Cut down the a wooden beam length in accord to the width of the sides and fix shelving supports! Join both the prefabricated side walls using a cut down length of beam equal to the length of the entire desk! Add resting cross beam supports and nail them to hold them in place! Cut a piece from plywood sheet having length equal to the desk length and with also equal to the desk and make it sit carefully on both of sides to serve as a plane top of desk top! 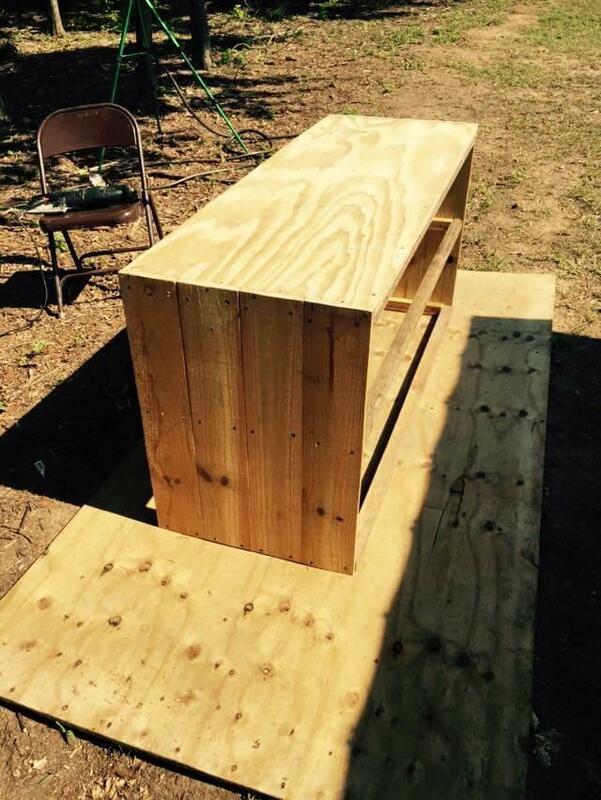 Keep sanding the wooden edges and sides and also make the wood snags and splinter free! Palm the electrical sanders and give a throughout sanding with no splinter left on the surface or on wooden edge! Also layer the glue inside the wooden junctions and surfaces to give a tight grip to whole of the design! 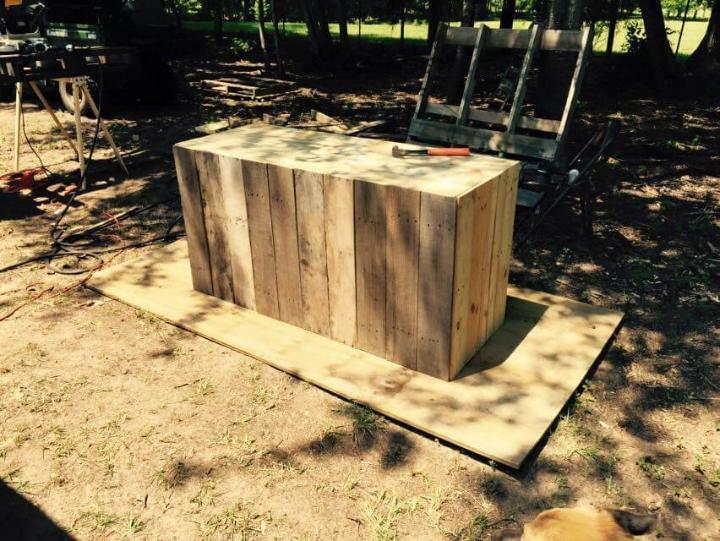 Now Again use the bunch of equally thick and long pallet plank and built the front of the desk! Give the fine and clean edges to pallet slats giving sharp straight cuts to add precision to your work and finally finished design! Using flat wooden strips, give the top boundary and decorative edging to the desk top and do add nails and glue to give a lasting longer grip and holding to the top boundary! Let it dry for some time and plan the next process! 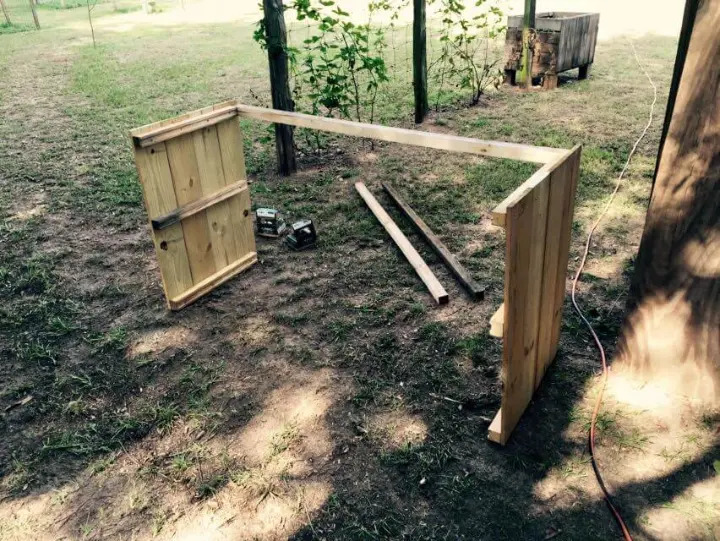 At the end build the 2 more panels just like the same of side walls of the desks and cut down plywood squares to serve as shelving levels and dividers to the storage cabinets! This is last process you have to do to get the custom storage options for your media storage, books and completed assignment storage or even to secure those completed assignments and projects if you are using it as a study desk! Give a varnish coat or plan a matte finish! Few of stain coats can really give the wood that pop to be more elegant and visually attractive! Give a semi gloss finish using polyurethane or add focal stimulation using a single bold paint color or an amazing color combination! If you making it for your work place or office to use as office desk or reception desk then a glass top finish is must to give that gorgeous modern furniture elegance to it! 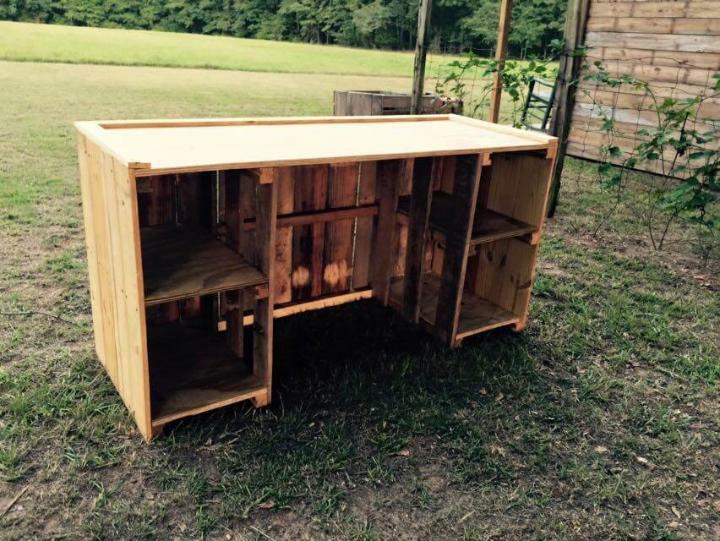 Get inspired of pallet wood recycling and enjoy a great luxurious life on a budget!